With a powdery golden beach located just fifty metres from the edge of the site, staying at Els Pins Resort is an excellent option for Spanish sun lovers. Your next sun-kissed camping holiday is just a few clicks away when you make a booking with LuxCamp. People who stay at Els Pins Resort will find that they have more than three miles of beautiful sandy beaches right on their doorstep. 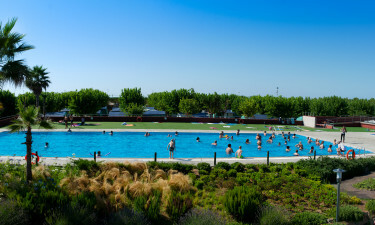 Those who want to embark on day trip adventures will also find that vibrant cities such as Barcelona, Gerona and Malgrat are just a short drive away from this luxury camping site. 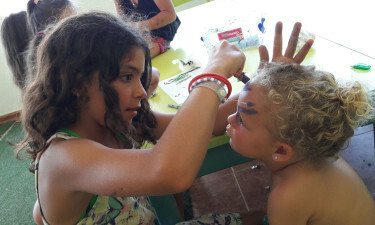 Why choose a Camping Holiday at Els Pins Resort? It takes a matter of minutes to stroll to the beach from Els Pins Resort and this is the perfect place to relax for a while. Water sports such as kayaking and windsurfing are also available as the staff at Els Pins Resort offer equipment rental. Guests who want to keep cool never have to venture far, as a large outdoor swimming pool is set in the very heart of Els Pins Resort. The separate Oasis Pool also comes complete with a waterslide and a shallow area for young children.